Following Magneto’s turn to the side of good in the ’80s, the X-Men spent quite a bit of time in search of a new over-arching big bad. 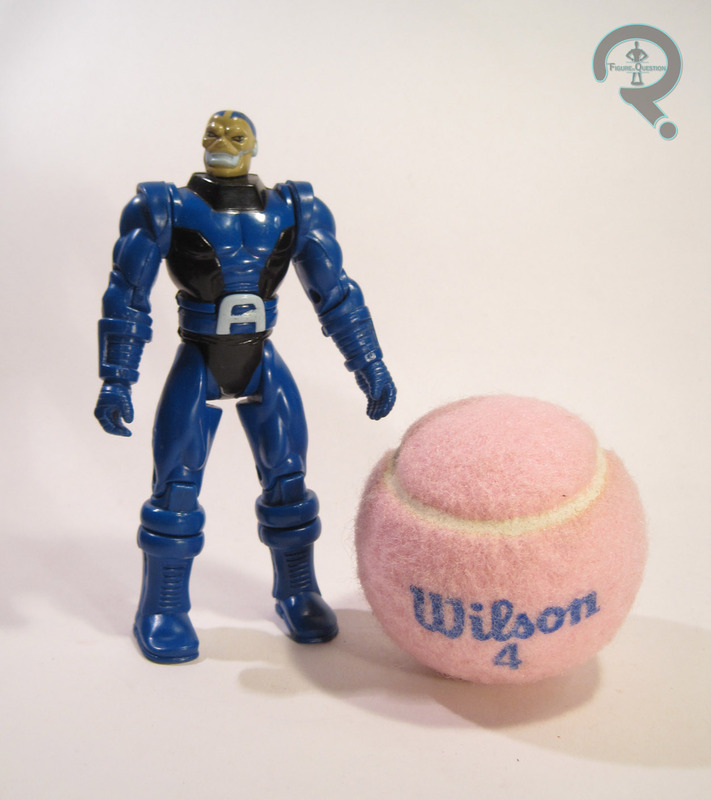 They found a number of potential offerings, none of whom quite hit that same spot, but perhaps the most successful of them was En Sabah Nur, aka Apocalypse. He was a consistent foe in the back half of the ’80s, up into the ’90s, so his place early into Toy Biz’s run was certainly sensible. 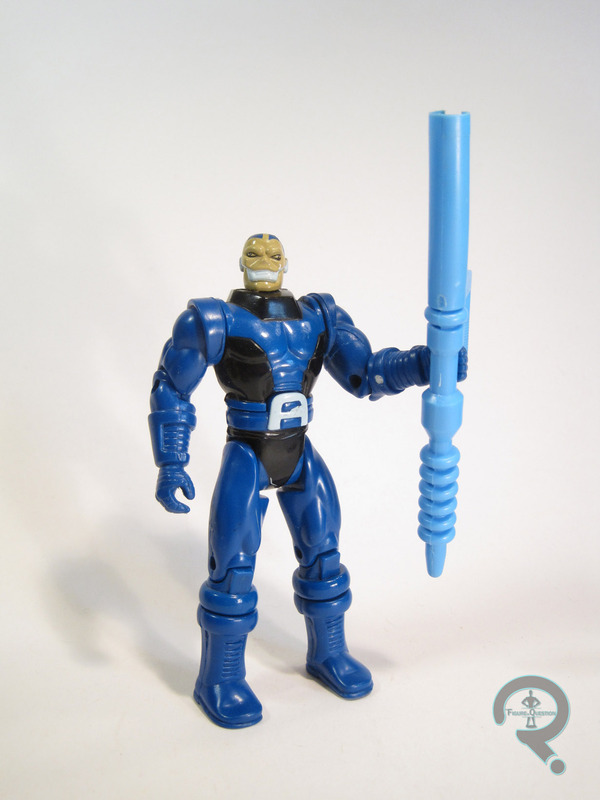 Apocalypse was one of the three villains released alongside our heroes in Series 1 of Toy Biz’s X-Men line. He served as a rather sensible counterpart to the same series’ Archangel figure. The figure stands 5 1/2 inches tall and he had 11 points of articulation (though two of those points can be somewhat debated, since they’re tied into his “action-feature”). 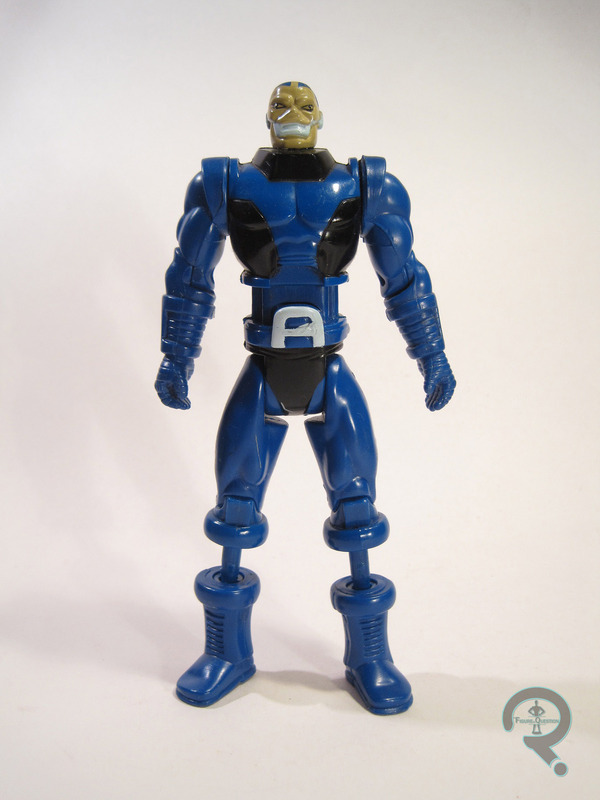 Apocalypse’s sculpt, like many others in this assortment, is definitely showing its age. What’s interesting is that it’s due to slightly different factors than some of the others. It’s not that he doesn’t quite live up to his comics appearance the way Archangel or Storm or Cyclops do, it’s actually that he’s too faithful to an Apocalypse design that itself has fallen out of fashion. He depicts Apocalypse as he is seen in his earlier X-Factor appearances, when he was still rather lean, and still rather square and stiff. It’s a very different take on the character, and his beefier revamp design from just a few years later would end up being the prevailing design and informing how the character was depicted for the three decades since his creation. As such, this guy definitely looks out of place amongst the others, but paired with the Cyclops and Archangel from this assortment, he starts to fit in a bit better. Ultimately, the actual sculpt is one of the more competent one from this first set. I think I’d place him in the number three slot, after Nightcrawler and Magneto. His proportions are certainly believable for this incarnation of the character, and his construction is quite sturdy. Apocalypse’s paintwork is fairly standard stuff. It’s rather limited, and the application is messy in some spots, especially the belt. Apocalypse included a staff, which is supposed to have a “gem” at the top of it. Mine’s gone missing, so my Apocalypse just looks like he’s holding a broken ball-point pen. He also has an “Extending Body” feature, where his torso and legs extend outward, in sort of a stretching sort of fashion. It’s rather goofy, and not really worth much extra, but it’s not like it impedes the figure overall. I’m not 100% sure how I got Apocalypse. He was an earlier addition to the collection, I know that much, most likely gotten during my parents early efforts to expand my collection. I was watching the cartoon by that point, so I knew the character. Regardless of how I got the figure, he’s stuck with me for quite some time, despite my not being super into Apocalypse. As I noted in the review, he’s a somewhat dated figure, based on an out-dated design, but he’s actually one of the stronger figures in the first assortment, and he depicts a version of the character we don’t often see.